Thus it seems to me that Jesus Christ has already been declared the King of the Universe. No, you are not missing anything. Of course Jesus is King of the universe. But just as Jesus died for everyone so that we might be saved, every person must make that choice to accept salvation and follow Jesus. Jesus IS King of the universe but by enthroning him, I am choosing to put my family under his Lordship. It is a visible sign and a choice to put Jesus over all that takes place there and over everyone that works, lives or prays there, whatever the case may be. Whether we chose to live under the reign of Christ does not change the fact that Christ does reign over all things. It is merely our choice to follow him and place our family under him that the enthronement is about. It creates a more intimate relationship with our Lord. Declaring Jesus King of the Universe is not the same as individuals putting themselves under his Lordship. Let’s face it, plenty of people have not placed themselves under his reign in spite of the declaration you speak of. Spreading the word through the World Congress, is a continuation of the declaration of Jesus as King and a promotion of the devotion of Sacred Heart enthronements. 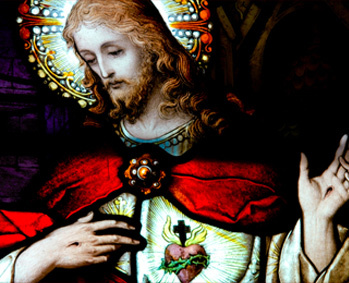 If you have not enthroned the Sacred Heart in your home, I encourage you to do so. My involvement with this is that I have had my home enthroned and I’ve worked with Msgr. Esseff and others in the ministry through writing. Congratulations on the wonderful apostolates you are involved in (http://catholicmom.com/author/parmstrong/), and thank you for the very detailed and courteous reply you sent me. I was disappointed that I had not received a reply on a point I considered of importance. Msgr Esseff wrote “I am working toward fulfilling the demand of Jesus that He be declared King of the Universe”. I replied that Pope Paul VI declared Jesus is King of the Universe, thus fulfilling the demand of Jesus. But as your excellent reply to me suggests Msgr Esseff meant, not that Jesus be declared King of the Universe, but that individuals and groups should enthrone the Sacred Heart. Thus this resolve the issue?